In late August 2017, Christopher traveled to 4 regions in southern Tanzania seeking community members and land to install edible parks. The response is so positive that there are currently 10 locations and the exciting part is that there are over 60 volunteers who have signed up to be a part of creating these edible parks! The pilot projects in Songwe have begun preparing the land...see below for the amazing progress! Please keep in mind that all this has been only ONE MONTH of organizing! Totally inspirational to say the least. Chris is an example of an action visionary. Bravo! LOOK AT THE EXPANSION NOW! Are you interested in starting a Hamlet in Tanzania? to receive 200 trees for your Hamlet! Below are some of the activities during the first year pilot projects began in Tanzania 2017! Must see! Photos of progress! 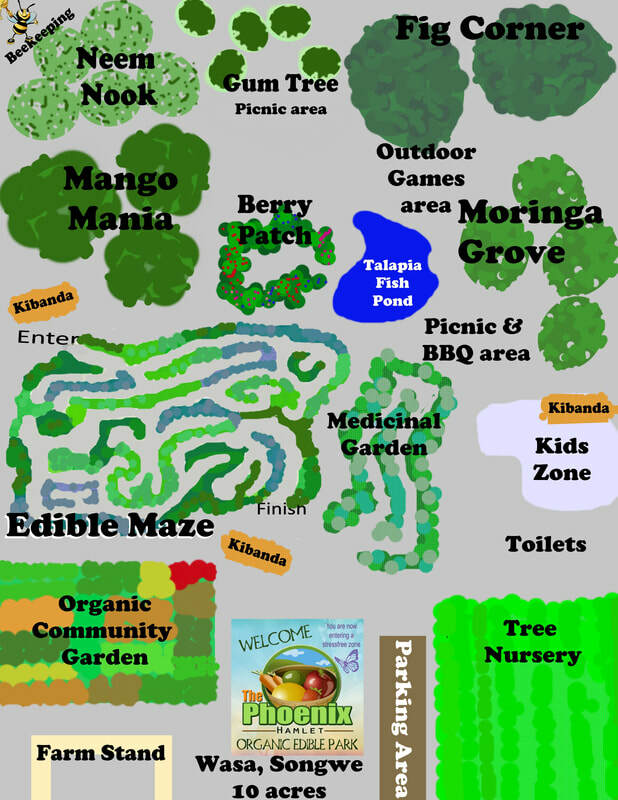 The community of volunteers decided to also add a pig farm and goat farm to the Mpela and Wasa properties to help to raise money for future edible park expansions in Tanzania. Veronica Cafe for the donation of delicious black tea with fried potatoes for the first Phoenix Hamlet event in Songwe! Burton Sinienga for his donation of honey for the first event and manure for the gardens! Edrick Shilumba and his donation of Groundnut seeds! Donation of goats to the Hamlets! MPELA HAMLET RECEIVES 2 GOATS!!! The older female, Mbarikiwa, 'a blessed one' and the younger female, Neema, means 'Grace'. "27 people attended the event (9 were politicians and government leaders) and they decided to visit the Mpela hamlet so they could get to see the project in action rather than having a meeting in town. They are now ambassadors of the hamlet! They will spread the word. One of the district councillors, Burton Sinienga, said he will present to the district councillors meeting. They are so inspired by the way the hamlet produces fruits." Tools have been needed to dig the ponds and trenches and ​2 used spades have been donated by Veronica Mwembe for Wasa Hamlet! Thank you for your support! AMAZING DONATION OF 10 GOATS FROM TOM PALADINO!!! ​April 2018 Wasa Hamlet 16 goats! November 5th was an event at the Chimala Hamlet in Mbeya region. ​This man Joseph Kamwela used traditional music instrument locally known "Ngwaya" in Nyakyusa language to entertain the audience, he real made the event of successful! ***December 6th update of blessed news from Christopher Simwinga ! Mpela Hamlet 5 of the 6 goats already conceived." Thank you again Tom Paladino for the amazing donation! We are blessed with more goats on the way from your generous support for Tanzania! ​​Berry Patch: we need seeds that can be purchased from the government. different varieties. $8 per kilo. Tree Nursery: is used to start tree seedlings for Hamlets in Tanzania. Need Polythene tubes cost $90 per Hamlet. Moringa seeds $7 per kilo, Neem trees $6 per kilo. Spades are needed for volunteers and are $9 each. Hammers for projects $7 each. Stay informed on the incredible progress! 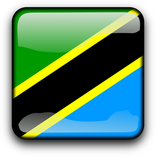 We invite you to get involved in Tanzania! click on banner to join our global family! 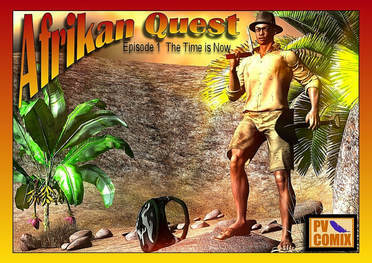 Enjoy the first episode of Afrikan Quest!